Presonus have announced a range of new products at NAMM 2017 including two new interfaces in the Studio range, the Studio 26 and Studio 68 USB 2 interfaces with up to 192KHz sample rate support. MOTU is now shipping the 624 and 8A, two mobile audio interfaces with Thunderbolt and USB3 connectivity for Mac and Windows. Both interfaces share the same superb analog audio quality, ultra-low latency performance, advanced DSP-driven mixing and extensive AVB/TSN audio networking features as MOTU's flagship 1248 and 16A interfaces. In this third and final instalment of the AVB Spotlight we come to the issues facing AVB and the probable future direction of this technology. In Part 1 we looked at the problem AVB was created to solve. In Part 2 we look at how AVB achieves this. In the first of three articles on AVB I’m going to try to explain a technical solution to a technical problem without getting too technical… Hmm. Wish me luck! At Musikmesse today MOTU have announced a new Windows ASIO driver for its latest-generation audio interfaces, including the 1248, 16A, 8M and 112D. This new ASIO Windows driver has been written from the ground up for today's ultrafast Pro Tools computers and modern Windows architecture and the driver includes support for Thunderbolt audio I/O on Windows and best-in-class round trip latency (RTL) for both Thunderbolt and USB Windows operation. Now, you can connect your MOTU interface to the Mac using a standard CAT-5e or CAT-6 Ethernet cable up to 100 meters long and stream up to 64 audio channels to and from audio applications running on the Mac at sample rates up to 192 kHz with low latency. Keith Klawitter, founder and former CEO and chief design engineer of enormously successful speaker manufacturer KRK Systems, Inc., is back with the launch of the KD Elite series monitors, the flagship products of his new company, Klawitter Designs. 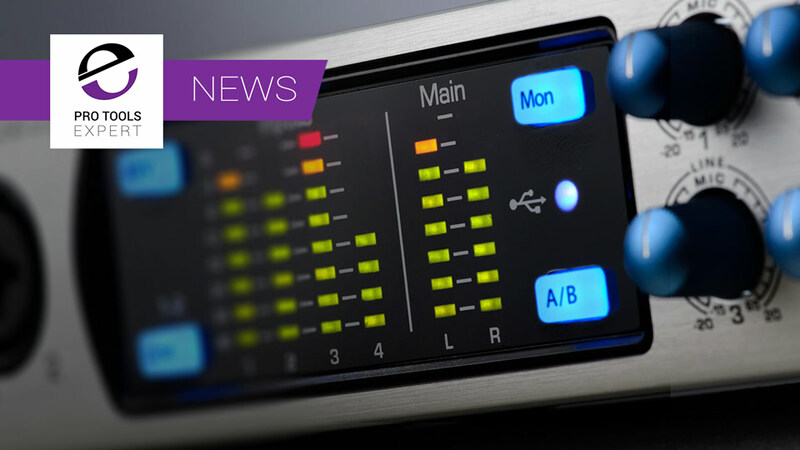 Presonus have announced three new products, with developments in live sound and audio over IP. AES67 - What Is It And Why Should You Care? The broadcast industry is certainly paying close attention to AES67 and its promise of interoperability between competing audio over IP networks. What is AES67 and what can it do? Focusrite are supporting a series of global events provide opportunity to learn about Dante networking. These are free, all-day events, featuring presentations, training workshops and interactive panel discussions led by industry experts and our own product specialists. Julian takes a tour of the web app used to control the MOTU AVB interfaces. This clever system uses a web app served by the hardware itself. If you connect a WiFi router to your interface you can control it from a tablet or phone with no computers at all. From this app you can control everything from routing to the built in DSP mixer. Watch the free video. The Monitor 8 is a product designed to complement other units in the AVB range. Its primary purpose is as a USB/AVB headphone amplifier. Having used it a few times I’ve found it is more than that. The 1248 is the flagship interface in the range, it offers the broadest range of I/O with a complement loosely equivalent to the many 8 analogue plus ADAT firewire interfaces which have become so common.